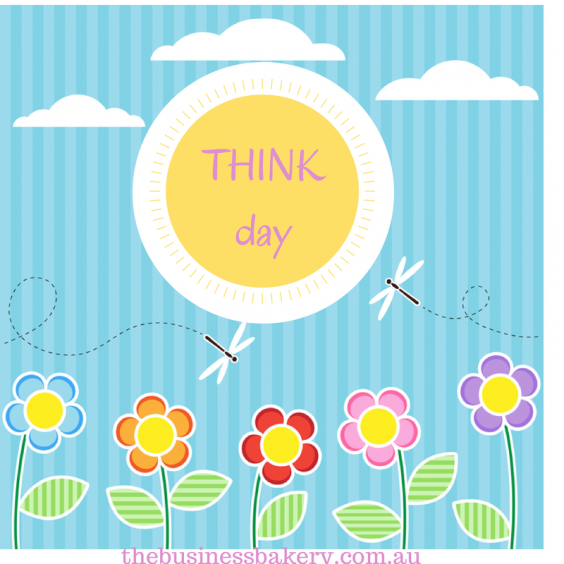 Why you *totally* need a THINK day and how to make it work! Are you feeling a bit frazzled? Lots to do? Millions of ideas? No time to do any of them? Running around in circles? Oh me too! So in case you need it, here’s something I do which might help! It’s called a THINK day. I got it from Bill Gates (as you do!). He used to go into seclusion twice a year for seven days of reading and thinking. He called it his Think Week. Apparently lots of great ideas for Microsoft came to him during his Think Weeks. 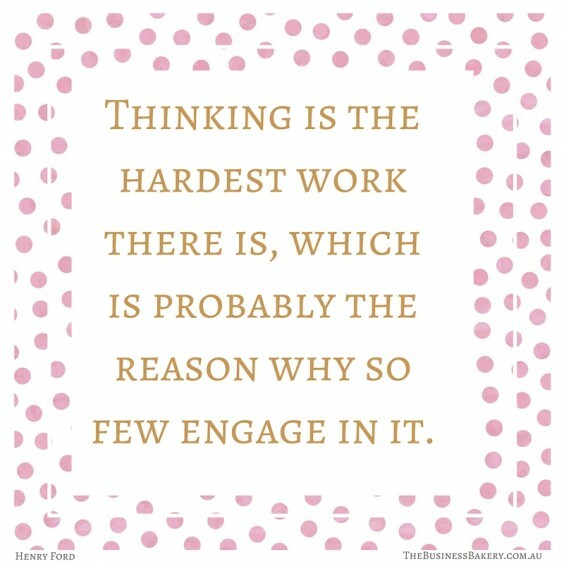 I’d really love to have a Think Week. But let’s be practical. I have a business and a large family. Going bush for a week ain’t going to happen. So instead I do a THINK day and it works a TREAT! The hardest thing about a THINK day is forcing yourself to make the time to do it. The rest is easy! 1. Put stuff aside to read on your THINK day. Reading is a lovely way to start a THINK day, plus it gives you something practical to do and it will spark your creativity. 2. Prepare some questions for THINK day. 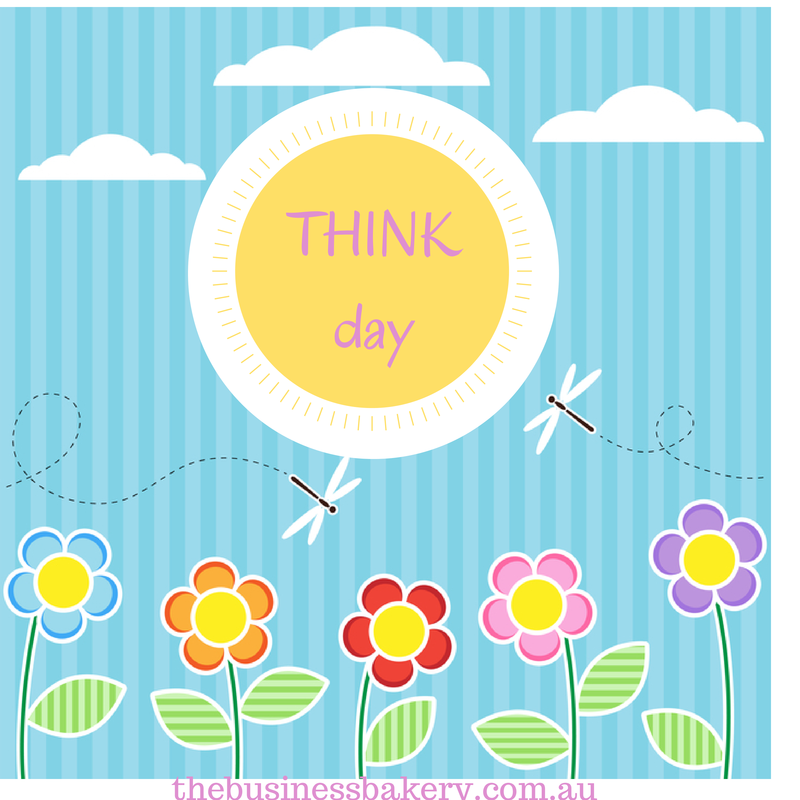 Before your THINK day write out a few questions that you’d like to think about! Sounds obvious but it’s amazing how without them you can kinda go blank on THINK day! 3. Put your THINK day in your diary. Your THINK day will work best if you do NO work on it so you do need to plan for it! I know that taking a day off sounds a bit impossible but if you are determined to do it you can! 4. Buy a THINK day notebook! I like to have a pretty notebook to write down all my ideas. Makes me feel GOOD! 5. Hold your THINK day outside your normal environment. I work from home so I go to a cafe for part of my THINK day. If I stay home I’m way too tempted to get on with some work or house tidying! 6. Take a walk on THINK day. Walking really helps me think so I take a l-o-n-g walk on THINK day and because I’m a bit forgetful I write notes as I go! 7. Turn your phone and email off on THINK day! YES! You need to zone out of the daily-do so turn everything off! And that’s it really! A nice day out of the business thinking about the business. Works a treat! Give it a try. You’ll be hooked! AND! On 2 November (super-soon!) 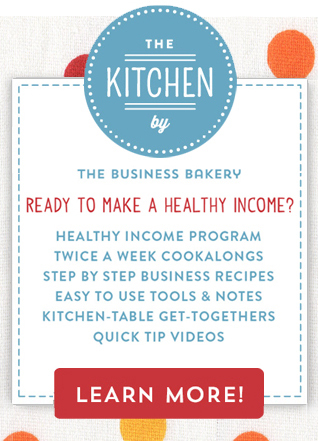 we start the Healthy Income Program again. If you’d like to reserve a spot pop your name down here. Four ways to ease anxiety Word for the Year The 1-3-5 way to get stuff done What to do when someone doesn’t like what you sell!